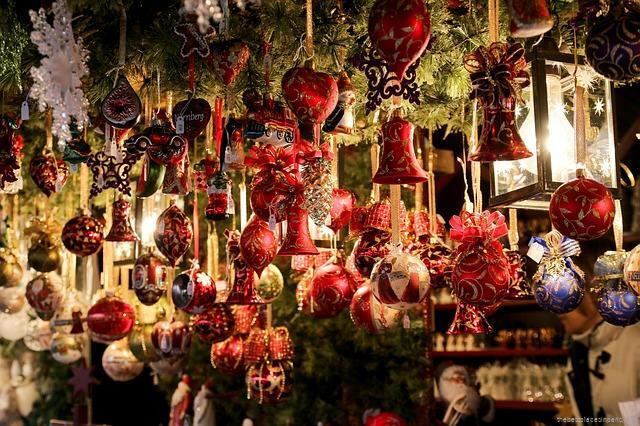 There are many places where you can celebrate Christmas but there is one particular place in France where it is much more magical : Christmas markets in Alsace. 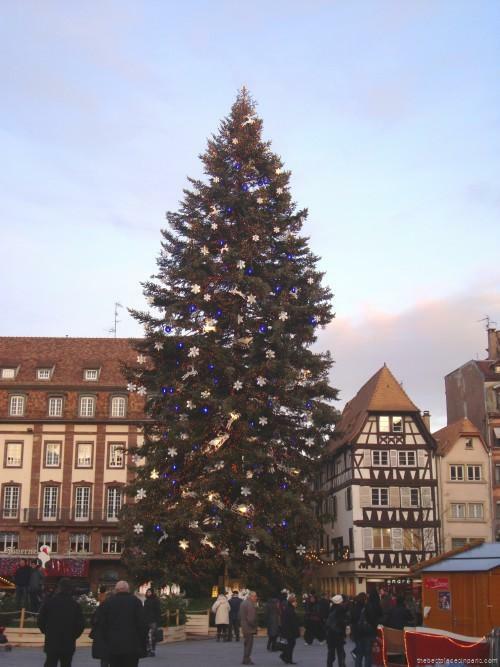 Did you know it is also the birthplace of the Christmas tree ? This beautiful region, located in the northeastern part of France, is within easy reach from Paris by high-speed train (TGV) in barely 3 hours. With charming villages and vineyards, historical castles, delicious food specialties, there is plenty to visit and taste. From the end of November until late December, the arrival of the little wooden huts in the squares of all Alsace’s towns and villages is a major event. This marks the start of the Christmas markets for the season. 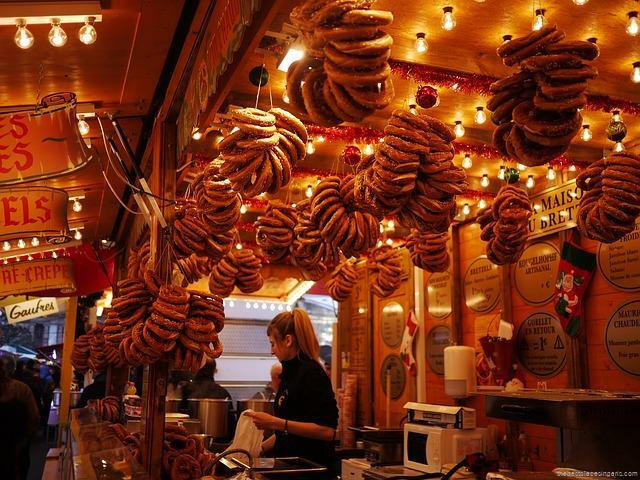 The oldest market, since 1570, and the most significant one takes place in Strasbourg. The second largest town, Colmar, also known as the Venice of the East, offers another magical setting for the Christmas markets. If you also want to discover quaint villages, Obernai is a good place to start. There are various buses and local trains, TER, to ease your visits. Feel free to ask local tourist offices to organise your trip. 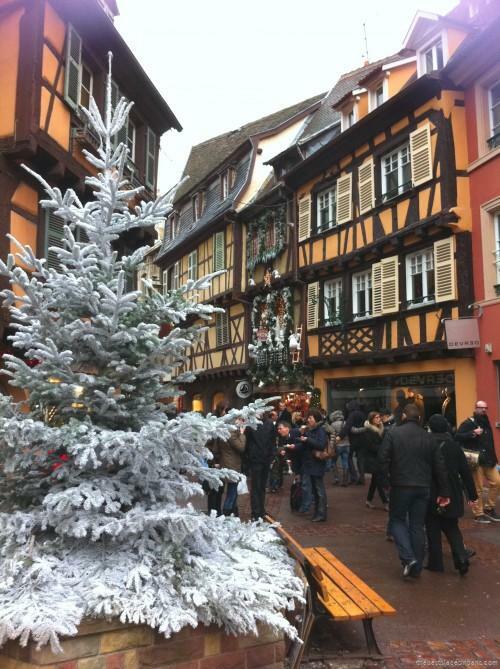 Luckily, the region has kept the tradition of authentic, warm and generous Christmas markets in Alsace. On the day of Saint Nicolas, 6th of December, the patron saint of children rewards kids who have been good by distributing treats in the form of cakes and toys. 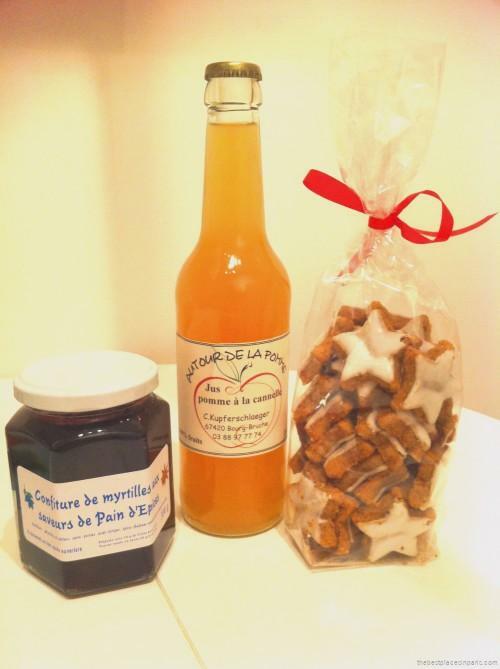 During the whole month of December, families and bakeries make traditional Christmas biscuits, such as star-shaped bredeles, as well as manneles, brioches representing Saint Nicolas.